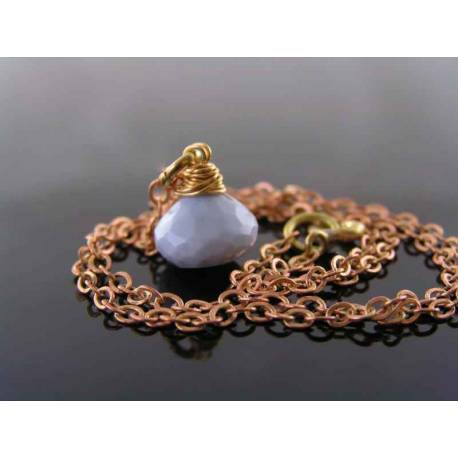 This blue opal is a 100% natural gemstone, mined in Oregon, USA. The opal is micro faceted and cut into a cute onion shape. 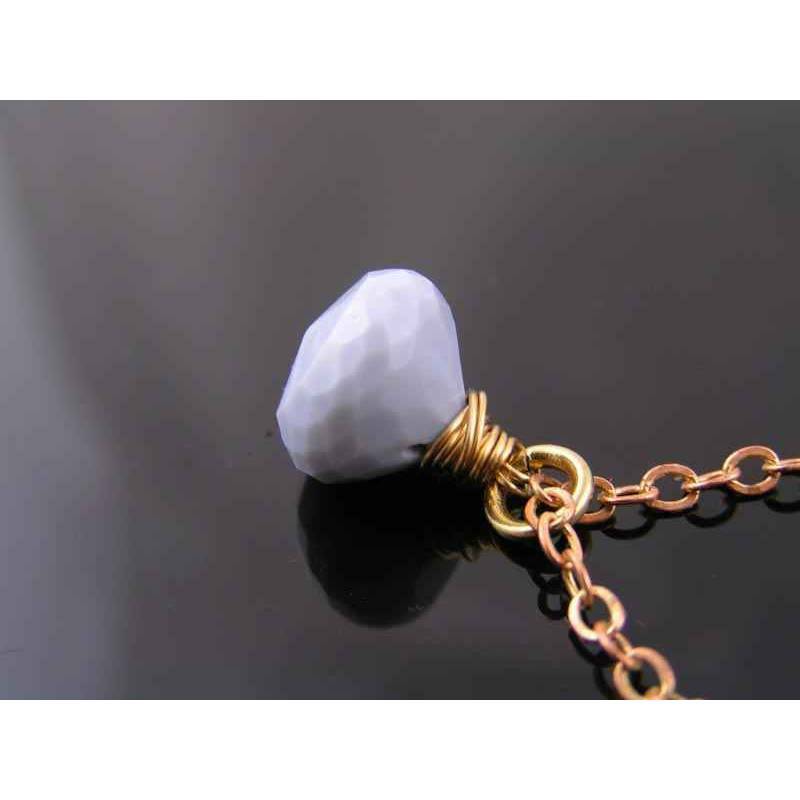 For colour contrast and durability, I added a solid brass trace chain which closes with a secure spring ring clasp. 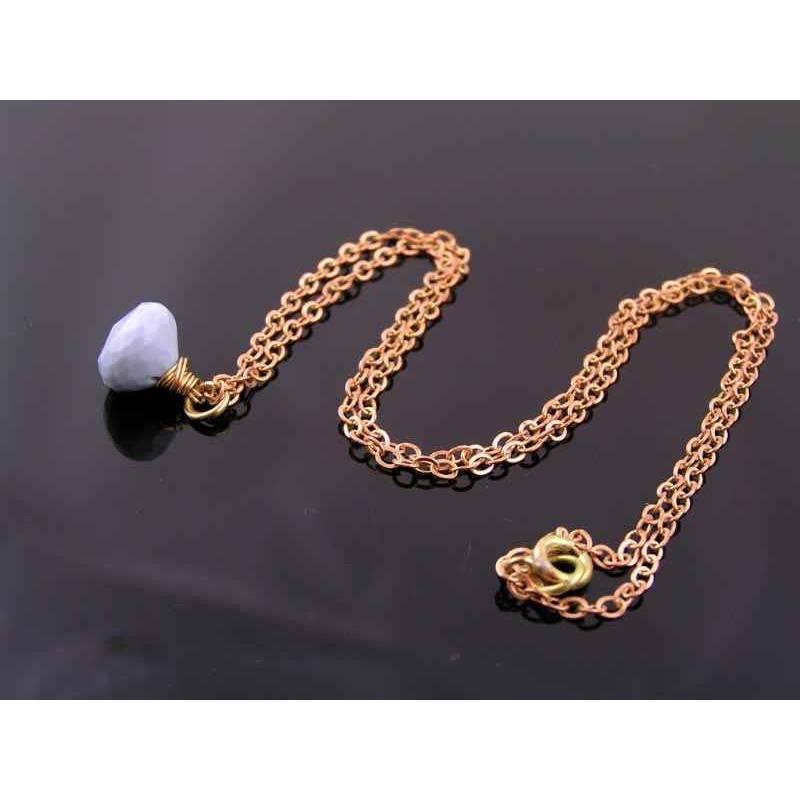 Total length of the necklace is 42cm, the gemstone pendant measures 10mm in width and 8mm in height. Owyhee Opal was discovered back in 2003 in the opal rich area of eastern Oregon near the sacred Indian springs of Owyhee, Oregon, USA.